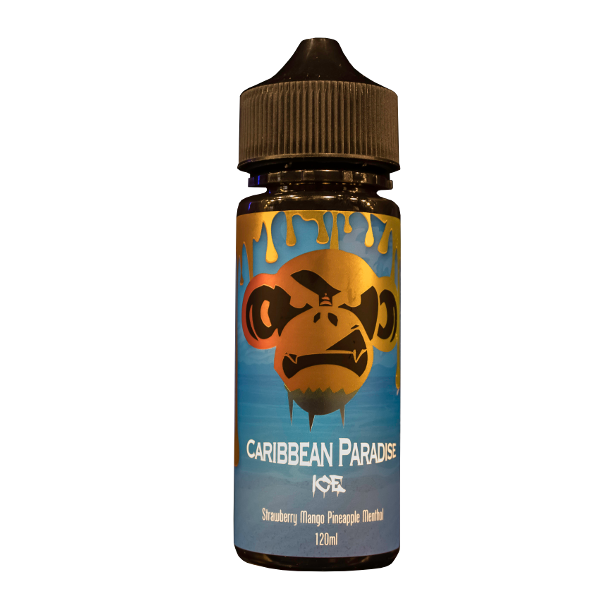 Vape Shop – Buy Online Vape Products | Blue Monkey Vapes Inc.
Golden brown french toast with a drizzle of rich warm maple syrup. French toast doesn’t have to be breakfast anymore. Enjoy the delicious flavor of Good Lordy E-liquid all day. Good Lordy E-liquid by Blue Monkey Vapes Features: Flavor Profile : Toast as well as Maple Syrup. DJ Double Stuff E-liquid has double stuffed vanilla cream sandwiched between two crunchy chocolaty cookies. This flavor was engineered to be irresistible and is also the greatest cookie in the world. DJ Double Stuff E-liquid by Blue Monkey Vapes Features: Flavor Profile : Vanilla Cream as well as Cookies. With Hot & Sticky E-liquid, treat yourself to a gourmet gooey-gooey cinnamon swirl hot and sticky bun, drizzled with sweet icing. You can taste the molasses in the brown sugar. Hot & Sticky E-liquid by Blue Monkey Vapes Features: Flavor Profile : Cinnamon, Bun as well as Sugar. Tropical gummy candy flavor. Candy Mountain E-liquid is a beautiful blend of cherry, pineapple, orange, watermelon and raspberry flavors bursting into your mouth, giving you the ultimate euphoric experience. Candy Mountain E-liquid by Blue Monkey Vapes Features: Flavor Profile : Cherry, Pineapple, Orange, Watermelon and Raspberry. Mouth-watering strawberry sour belt candy. The extraordinary flavor of Berry Treasure E-liquid tastes like freshly picked berries, lightly coated with sugar. Berry Treasure E-liquid by Blue Monkey Vapes Features: Flavor Profile : Strawberry, Berry as well as Sugar. Mouth-watering strawberry sour belt candy. The extraordinary flavor of Berry Treasure Ice E-liquid by Blue Monkey Vapes tastes like freshly picked berries, lightly coated with sugar. Berry Treasure Ice E-liquid by Blue Monkey Vapes Features: Flavor Profile : Strawberry, Berries as well as Sugar. Rich, robust and sweet tobacco aromas with full-bloodied flavor. Wild Wild West E-liquid is an old glory southern summer blend, with a creamy note. Smooth and light on the throat. Tastes like freshly rolled tobaccos. Wild Wild West E-liquid by Blue Monkey Vapes Features: Flavor Profile : Tobacco with a Creamy note. Front Porch E-liquid is a beautiful blend of Georgia peaches and sweet iced tea. Flavor reminds you of sweet air, summer picnics and chillin’ on your front porch sipping on a cold Peach Sweet Tea. Front Porch E-liquid by Blue Monkey Vapes Features: Flavor Profile : Peaches as well as Sweet Iced Tea. Homemade heaven on a plate. Strawberry Shorty E-liquid gives the taste of sweet sponge cake, mixed with graham crackers and fresh juicy strawberries air whipped cream. Heavy on flavor but light as air. 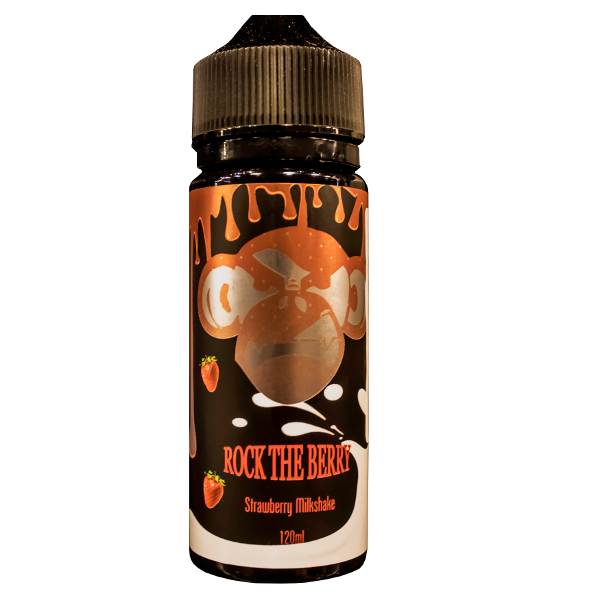 Strawberry Shorty E-liquid by Blue Monkey Vapes Features: Flavor Profile : Cake, Graham Crackers as well as Strawberries with Whipped Cream. Monkey Joes E-liquid is a premium cured tobacco flavor with aromatic hints of nutty as well as sweet. Freshly rolled rich woodsy tobacco taste for your enjoyment. Monkey Joes E-liquid by Blue Monkey Vapes Features: Flavor Profile : Tobacco with aromatic hints of Nutty as well as Sweet. Mr Crookies E-liquid smells like cookies right out of the oven. Crisp on the outside soft and chewy in the middle. Enjoyed with a cold glass of milk to cut the rich chocolate layers. Mr Crookies E-liquid by Blue Monkey Vapes Features: Flavor Profile : Cookies, Milk as well as Chocolate. Good Life E-liquid is the sweet tea that is downright charming. Taste like heaven on ice. Best tea you will ever try. A little Southern comfort in a form of E-liquid. Enjoy the good life. 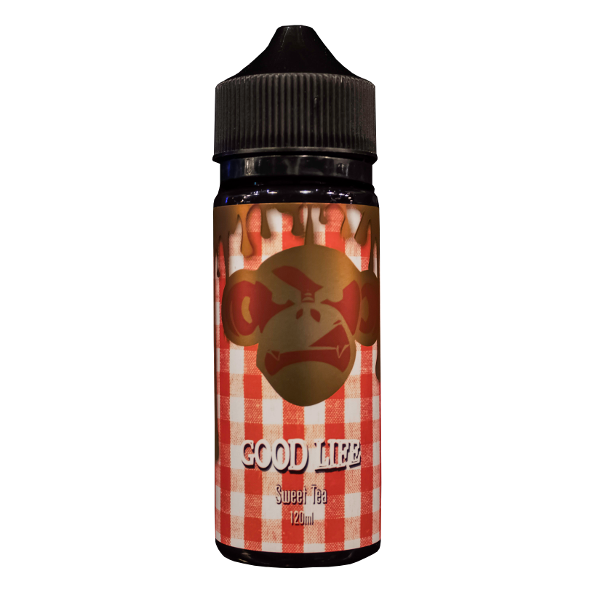 Good Life E-liquid by Blue Monkey Vapes Features: Flavor Profile : Sweet Tea. Mouth-watering strawberry sour belt candy. This extraordinary flavor tastes like freshly picked berries, lightly coated with sugar. Berry Treasure Salt E-liquid by Blue Monkey Vapes. Berry Treasure Salt E-liquid by Blue Monkey Vapes Features: Flavor Profile : Strawberry, Berry as well as Sugar. Dunker E-liquid is sweet maple glaze drizzled over fresh hot donuts. Its all about the magic in the hole. The best donut shop in the country. Nothing like the taste of a blazed hot one in your mouth. Dunker E-liquid by Blue Monkey Vapes Features: Flavor Profile : Sweet Maple as well as Donuts. With Hot & Sticky Salt E-liquid, treat yourself to a gourmet gooey-gooey cinnamon swirl hot and sticky bun, drizzled with sweet icing. You can taste the molasses in the brown sugar. Hot & Sticky Salt E-liquid by Blue Monkey Vapes Features: Flavor Profile : Cinnamon, Bun as well as Sugar. If you stopped smoking right now, in 24 hours : your oxygen levels will normalize; smoker's breath will disappear. In 2 - 3 days: your sense of taste and smell will improve; breathing will be easier. In 1 - 9 months: Your blood circulation and energy levels will improve; exercising will become easier. In 1 - 5 years: You will have lower risk of heart diseases and stroke. In 10 years: Your risk of heart diseases will be the same as a non smoker. If this is something you want, Blue Monkey Vape Shop is here to help. Lets start with a definite guide. Vaping is the act of inhaling and exhaling vapor produced by heating an e-liquid in a vaporizer. E-liquids usually contain propylene glycol, glycerin, water, nicotine, and flavorings. When we get addicted to cigarettes, we are actually getting addicted to nicotine. The presence of nicotine in e-liquids helps mimic the sensation of smoking a cigarette and subsequently helps quit smoking. Wait! E-liquids have nicotine? Then what's the point of switching? Whilst nicotine is in fact addictive, it is relatively harmless compared to 7000 plus carcinogens found in cigarettes. To put this into perspective, according to Public Health England, vaping is about 95% less harmful than smoking. The general principle is you use a preferable vaporizer to vaporize flavored juice with a nicotine hit. Generally, we will come across 5 types of vapes, 7 flavors of e-liquids and 2 types of nicotine. Jull and similar slim devices: replaceable cartridges with pre set e-liquid. Disposable. Example : Juul and Blu. Pocket Vapes: Pocket sized vapes with regulated controls for vapor production. Example: Aspire Nautilus AIO Kit. Cons: Not suitable for cloud chasing. Pen Vapes: Similar to Pocket vapes except spherical pen shape. Ex: SMOK Vape Pen 22. Box Mods: Large battery box with digital screen. Highly customizable with incredible strength. Can be set up with different tanks i.e. e-liquids containers. Ex: Fuchai R7 Kit. Custom mods: Custom made under minimum industrial supervision. Enthusiasts design some really cool looking vapes but they are highly volatile to use. Beverage flavored : For drink lovers. Ranging from Champagnes to liquor; soda to pop, tea to coffee. Cereal Flavored : Flavors such as sugary fruity cereals, oatmeal, graham cracker, granola. Custard Cream Flavored : A mixture of eggs, sugar and flour with milk. Added hints such as vanilla. Dessert Flavored : Flavors like apple pie, ice cream, blueberry custard, French toast, pancakes, donuts and so on. Dessert without the calories. Fruit Flavored E-liquids : Apple, grape, strawberry, mango, blueberry, orange and so on. The most popular type. Tobacco Flavored : Tastes and smells like genuine tobacco but without the harmful chemicals. Menthol Flavored : Peppermint, cinnamon, spearmint for a chilling vaping experience. There are two types of nicotine available. freebase nicotine and the recently introduced nicotine salt. If your primary purpose for vaping is to quit smoking, nicotine salt is the way to go. Freebase Nicotine: Traditional nicotine available since the inception of vaping. Comes in 0mg, 3mg, 6mg, 12mg and sometimes 18mg as well as 24mg. The higher the mg the more potent the nicotine hit. The idea is to start from a high nicotine level that satisfy your cravings and gradually bringing it down to 0mg. Once you get down to 0mg, congratulations you are not addicted to smoking (nicotine) anymore. Perfect for: clouds production, quitting smoking for ocassional smokers. Pros: Widely available, huge selection, huge vapor production. Cons: Harsh throat hit when used with high nicotine strength. Nicotine salt: Introduced fairly recently, nicotine salt is perfect for heavy smokers looking to quit smoking. Nicotine salts are comprised of the same exact nicotine that's found in its natural state within the tobacco leaf. They have a special ingredient called Benzoic Acid that helps to make Nicotine Salts as smooth and palatable in higher strengths while allowing our body to absorb it much more efficiently. They are usually designed to be used with smaller, low wattage devices. Why is it recommended for heavy smokers: With traditional freebase nicotine, most people wouldn’t choose something over 18mg, as the hit would be too harsh. However, with Nicotine Salts, most people who vape 3mg freebase nicotine are able to comfortably vape 25mg-50mg Nicotine Salts and Nicotine Salts help mimic the sensation of smoking a combustible cigarette. Since, nicotine salts allow consumption of heavy nicotine concentration without a harsh hit, it will help quit chain smokers. Pros: Strong nicotine hit, inconspicuous, smooth vaping experience. Cons: Less cloud production, limited options available for both e-liquids and devices due to recent entry into the market. Vaping is the process of vaporizing flavored e-liquids with a nicotine hit. It helps quit smoking by mimicking the sensation of smoking while providing nicotine, the chemical responsible for getting us addicted to cigarettes. It's way less harmful then smoking due to the absence of more than 7000 carcinogens present in traditional cigarettes. You can buy 5 different type of vaporizers with pocket vape highly recommended for starters. You can buy 7 categories of e-liquids in varying nicotine strength. If you're a casual smoker, freebase nicotine is the way to go whereas for chain smokers, nicotine salt is preferable due to the strong nicotine hit. The point of vaping is bring down nicotine consumption to 0 and overcome the addiction to cigarettes. We, at Blue Monkey Vape Shop have a mission: A mission to promote healthier lifestyle by overcoming the addiction to smoking. You can buy online vape products at our online vape shop or drop into one of our locations near you to get more information. LET'S QUIT SMOKING!